Adjunct faculty prepare and teach courses in the department, develop new educational materials, and assist with the assessment of student learning, as appropriate. Classes may be assigned at the Brighton and/or Downtown Campus (or other sites, as appropriate). Adjunct faculty report to the chairperson of the department and the adjunct coordinator. 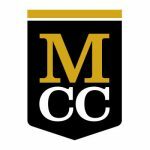 The successful candidate will bring a passion for teaching and a desire to support and mentor MCC students as they pursue educational and career goals. Please provide a list of all undergraduate and/or graduate mathematics courses beyond the level of Multivariate Calculus that you have successfully completed, along with the number of credit hours for each. Please provide a list of all statistics courses that you have successfully completed, along with the number of credit hours for each. Our courses range from Elementary Algebra through Linear Algebra. In which area(s) listed below do you feel that you can have the greatest impact and why?